Buy online our clothing and fashion fabric Doppio Jacquard Lana P02-01. 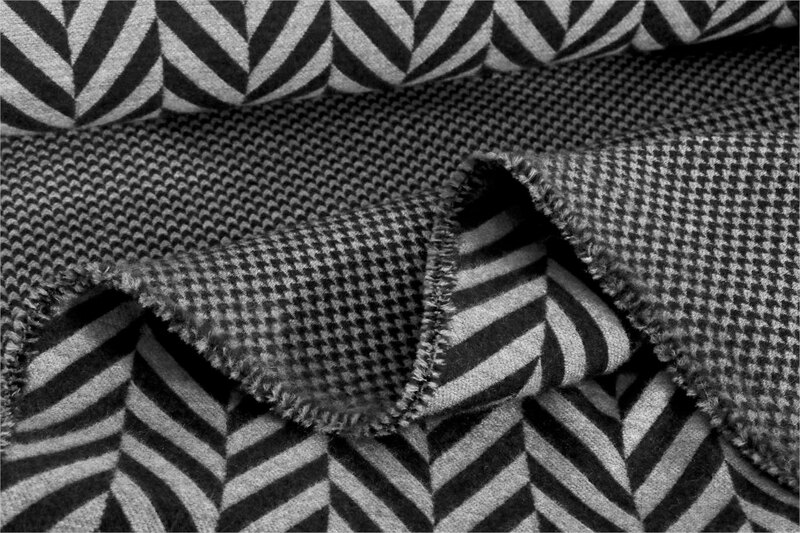 Soft black and grey jacquard fabric in double-faced wool: on one side micro pied de poule and on the other side asymmetrical colours. Suitable for jackets and coats. Black, Gray Mixed Geometric Coat fabric for Coat, Jacket.